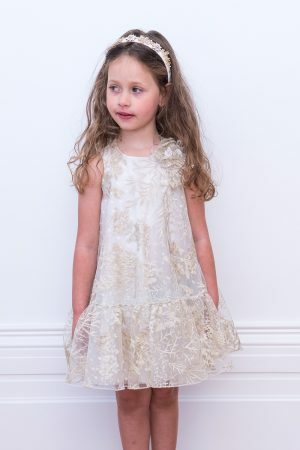 Browse our spring/summer collection of children’s designer dresses exclusive to David Charles. 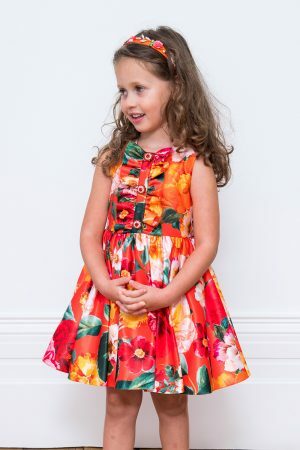 We have a vast array of fabulous frocks in vibrant colourways, seasonal fabrics and effortlessly stylish designs. 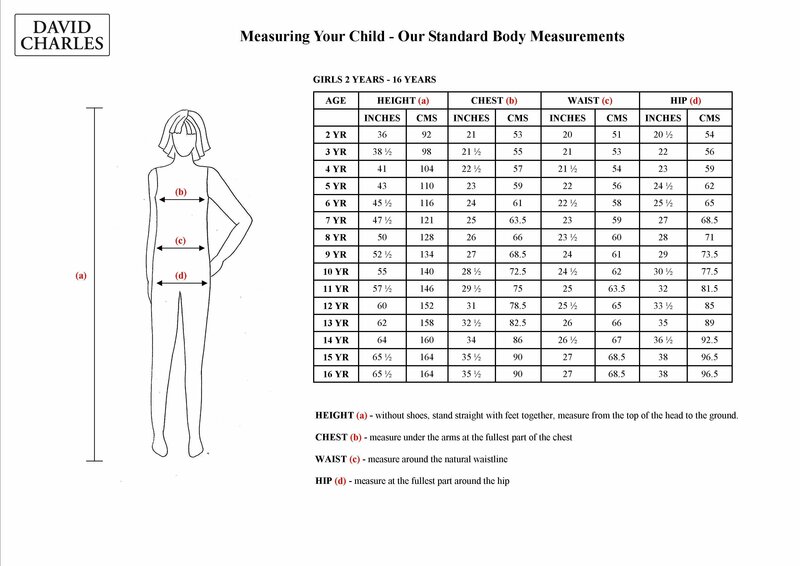 Sort by colour, age, price and popularity to find your little princess the perfect spring/summer dresses. 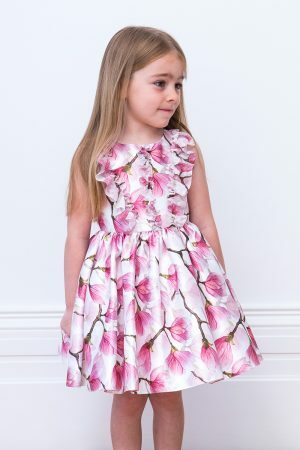 Summer is the season of outdoor gatherings, brilliant BBQs, and fun in the sun, and with all those fabulous party invitations, your little princess will need some perfectly pretty summer dresses. 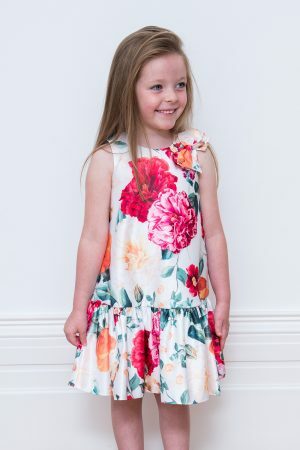 David Charles stocks a range of beautiful designer children’s dresses that capture the fun and excitement of the summer season. 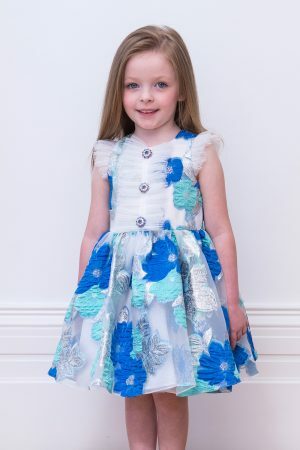 Available in seasonal hues — from classic ivory to sky-blue and leafy green — there’s a dress for every taste and style. 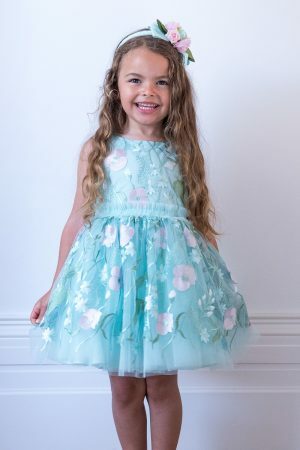 Pay homage to the season of blooming flowers and vibrant colours with a David Charles floral summer dress, or channel fairytale glamour with a soft tulle and waterfall pleat spring dress. 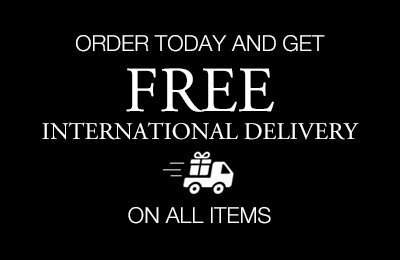 Summer wouldn’t be the same without the annual flurry of wedding invitations. 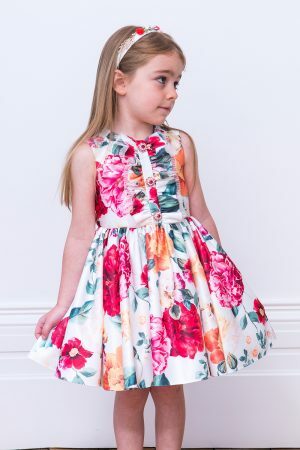 If your little girl is set to take centre stage as a bridesmaid this spring/summer, look no further than our David Charles collection of beautiful bridesmaid dresses. 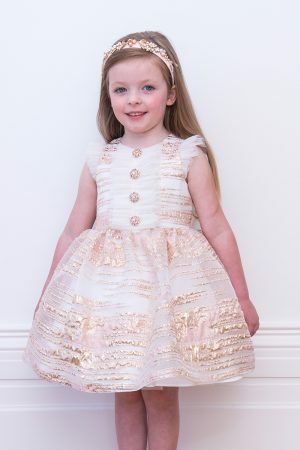 Available in a range of colours to complement any wedding colour scheme, you can opt for timeless ivory, soft rose or forget-me-not blues for an elegant and magical bridesmaid look. 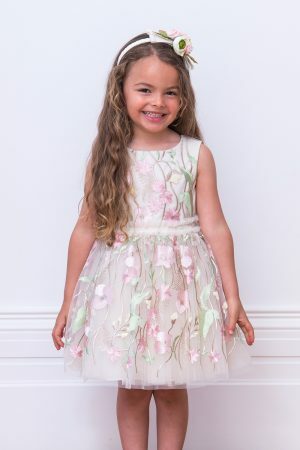 For older bridesmaids, browse our selection of glamorous full-length ball gowns with elongated tulle hems for a sophisticated silhouette and classic design that is sure to make your little angel feel as stunning as she looks.